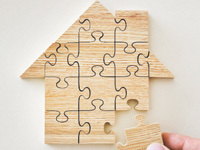 (NC)—Owning your own home is an exciting proposition and an achievable goal for most Canadians. The number one reason many become homeowners is pride of homeownership and the stability and security that comes with it. Buying a home can also be a solid investment and provide tax benefits. In Canada, you are not taxed on any investment gains made on the sale of your primary residence. So, for example, if you buy your home for $200,000 and sell it 5 years later for $250,000, you do not have to pay income tax on the $50,000 you earned from the sale. Another advantage is each time you make a mortgage payment, you are putting a portion towards the principal balance of your mortgage, which builds equity in your home. This is a better use of your money than giving rent to a landlord and is a good long-term investment. Owning a home also means that you can make your own decisions on decorating, home improvements, location, etc. In a recent survey conducted by Genworth Canada, 91 per cent of first-time homebuyers said that homeownership may mean more work but the effort is well worth it. When it makes financial sense, buying a home is often a wise, secure and emotionally satisfying move to make.